Though the “big” progressive rock festival scene in the US – generally limited to the late spring and summer months – seems to be on the wane, with the demise of NEARfest and the failure of other ambitious events to take off, some fans seem to have taken the old “small is beautiful” adage to heart, and their efforts seem to be paying so far. While the group of close friends and music lovers affectionately known as the NJ Proghouse “staph” are old hands at organizing concerts, the two-day event that took place on the second weekend of October 2013 was a potential baptism of fire that, however, was passed with flying colours. On a rainy Friday morning we drove from our Northern Virginia home to New Jersey. It had been a relatively late decision, but events had made it easier for us to take the time off and head north for two solid days of music and good company. Having often written about the need to scale things down as regards the organization of prog festivals in the US, I felt I needed to follow my own advice, and support this venture. As harrowing as the drive was, through occasional spells of heavy rain and equally heavy traffic, the event more than rewarded our patience. Though the gorgeous fall weather – cool yet not excessively so, with sun and clear skies enhancing the beauty of the multihued foliage – would have made a perfect setting for an outdoor festival, the venue chosen for the occasion was so endearingly quaint and cheerful that even spending so much time indoors did not feel like a chore. Conflating lounge bar, restaurant and music venue in a dimly-lit, low-ceilinged space decorated with an impressive collection of vintage curios, Roxy and Dukes Roadhouse is located on a picturesque, tree-lined road in the heart of New Jersey, close to New York City yet seemingly removed from its hustle and bustle. Though certainly no state-of-the-art theatre like Bethlehem’s Zoellner Arts Centre or Gettysburg’s Majestic (and therefore a bit uncomfortable after a while), it can boast of amazingly good acoustics, and its friendly vibe makes it the ideal setting for non-mainstream music events. Even if the stage may have been a bit cramped for any band with more than four members, none of the eight sets was in any way affected by the relative lack of space. For a rather low-key event, scheduled away from the main festival season, the Homecoming Weekend was very well-attended, and the venue packed to capacity for most of Sunday, as the organizers had wisely offered the opportunity to buy tickets for single bands as well as the whole weekend. Many of the attendees came from the neighbouring areas, but others (like us) had taken a longer trip in order to be present at the launch of the event and ensure its viability for the future. With only one exception, the lineup included bands that had already performed at concerts organized by the NJ Proghouse “staph” in the past few years – most of them hailing from the New Jersey/New York region. While the only two acts coming from outside were (as it often happens) also the biggest draws, all the bands drew a respectable and appreciative crowd. The presence of keyboardist Tom Brislin (a NJ Proghouse regular), who contributed musical interludes during the breaks, and also joined some bands during theirsets, added further interest to the already outstanding lineup. Advent, opening act and “in-house” band of sorts (as guitarist Alan Benjamin, together with his lovely wife Amy, is one of the most active members of the Proghouse “staph”), were one of my own personal draws. While not exactly prolific either as a studio or a live act, the quintet founded in the late Eighties by Benjamin and keyboardist/composer Henry Ptak have a distinctive approach that would be too easy to dismiss as a lesser version of Gentle Giant. In fact, while the influence of the iconic Seventies band was unmistakable in the material from their self-titled debut album, their quietly refined sound, tinged with the haunting beauty of medieval and Renaissance music, as well as jazzy suggestions and hints of English folk, is redolent with Old World charm. Their gorgeous, multi-part vocal harmonies – masterfully arranged by Henry Ptak, drawing on his experience as a choir director – blend seamlessly with the instrumentation rather than dominating it; the keyboards – manned by Ptak and his brother Mark – and Benjamin’s guitar work together with the ease of a long partnership, weaving fascinating musical textures. New bassist Brian Mooney brings his jazz-rock background to the table, lending a more dynamic element to the band’s stately sound, in unison with Joe D’Andrea’s crisp, elegant drumming. The band looked elated to be back on stage, and the material from their forthcoming third album sounds very promising indeed. Hopefully, next time I see them they will be able to play a longer set. The Tea Club are part of a restricted number of bands whose career I have been following since its inception. The outfit led by brothers Daniel and Patrick McGowan, though plagued by growing pains (i.e. frequent lineup changes) has been going from strength to strength, adding layers of complexity to the energetic punch of their debut album, and blending a boldly modern direction with their very personal homage to the past. Young and good-looking in their fashionably bohemian attire, with the McGowan brothers and drummer Joe Rizzolo (a very talented musician with a jazz background) sporting flowing locks that would have looked great in a shampoo commercial, they played a set that emphasized their mastery of quiet-loud dynamics. Intense electric flare-ups, packed with frantic riffs, effortlessly morphed into soothing passages embellished by Renée Pestritto’s pastoral flute, while the brothers’ strong, high-pitched voices – Dan’s more melodic, Pat’s assertive, with a touch of banshee wail – merged smoothly with the instruments. New bassist Jamie Wolff complemented Rizzolo’s agile, accomplished drumming style, propelling the band’s trademark crescendos and beefing up the guitars’ relentless riffage. While the influence of the likes of Radiohead is clearly detectable, The Tea Club have woven subtle but hard to miss classic prog elements into their sound – particularly evident in the material from their latest CD, Quickly Quickly Quickly, performed here in its entirety. Some entertaining visual props – in the shape of a large, top-hatted wolf stuck to Dan’s back – were also introduced during their performance of “The Eternal German Infant” at the close of their set. Having been absent from the stage for quite a few years, Long Islanders Frogg Café were certainly one of the most highly anticipated bands of the weekend. Indeed, while their highly praised 2010 album, Bateless Edge, had made many Top 10 lists, no one had had the pleasure of seeing any of its material performed live. After their career-defining performance at NEARfest 2005, the band had made a lot of fans both inside and outside the US, but had dropped off the radar after their latest album’s release, giving rise to rumours of their demise. 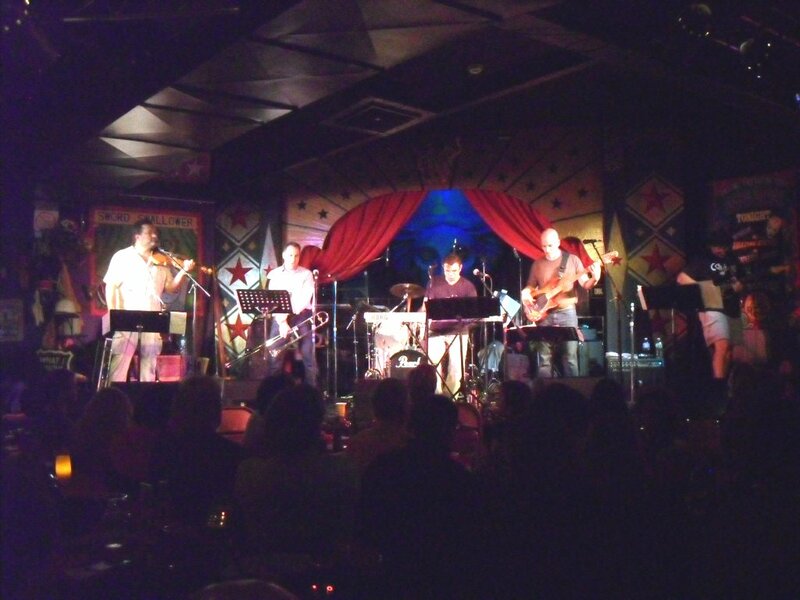 Thankfully, the six-piece born as a Frank Zappa cover band called Lumpy Gravy, and later developed into a highly inventive entertaining jazz-rock outfit, are still alive and very much kicking. 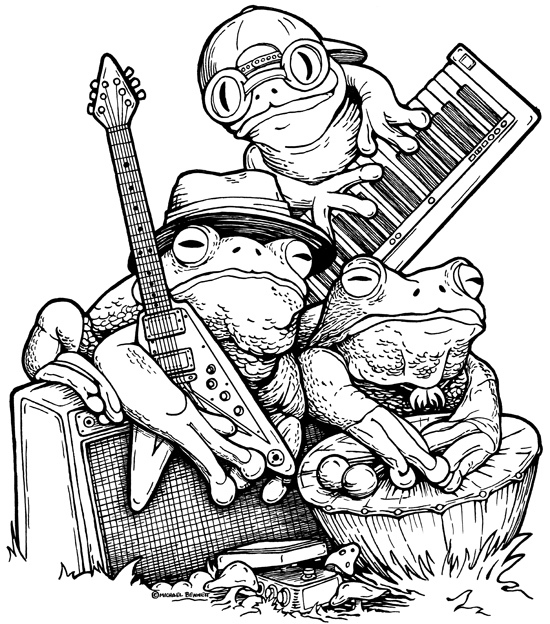 Frogg Café are also one of those quintessential live bands whose full potential does not truly shine on CD, as their preference for long, jam-like compositions suits the stage much better. They also have the ability not to take themselves too seriously, in spite of their outstanding musical background. Lined up at the front of the stage, with music stands before each member but drummer James Guarnieri, their presence brimmed with deadpan humour – especially evident in guitarist Frank Camiola’s attire of pork pie hat, shorts and mirrored shades, matched by a stony countenance. Dynamic horn duo of Nick and John Lieto, soberly dressed in slacks and dress shirts, went about their comedy routine while playing their respective instruments with gusto, supported by Bill Ayasse’s more sedate violin-wielding turn; while bassist Andrew Sussman’s striking, confident presence marked him as the “rockstar” character of the band. Frogg Café’s set consisted of a number of extended pieces that featured lots of improvisation, engaging Zappaesque vocals and occasional reflective moments. Fans of the Canterbury scene also appreciated the homage to Mike Ratledge’s “Backwards” (part of Caravan’s “A Hunting We Shall Go” instrumental suite, though originally included in Soft Machine’s “Slightly All the Time”). The outstanding Saturday programme was wrapped up by New York sextet IZZ, another favourite of prog audiences. After having had a taste of their excellence in the late spring of this year, when their “Quad” version opened for 3RDegree at the Orion Studios, I was looking forward to seeing the full band on stage, and I am glad to say that they did not disappoint. Opening their 2-hour set with an energetic cover of The Beatles’ classic “Ticket to Ride”, IZZ treated the audience to a selection of their best material, including epics “Late Night Salvation”, “Can’t Feel the Earth” and “Crush of Night”, as well as one song from bassist John Galgano’s solo album and a cover of King Crimson’s “Three of a Perfect Pair”. The distinctive two-drummer configuration, with Brian Coralian handling acoustic and electronic percussion and Greg DiMiceli a traditional kit, lent both texture and dynamics to the music, boosting John Galgano’s flawless bass lines and providing a solid backdrop for Paul “Brems” Bremner’s exhilarating, often hard-edged guitar work. 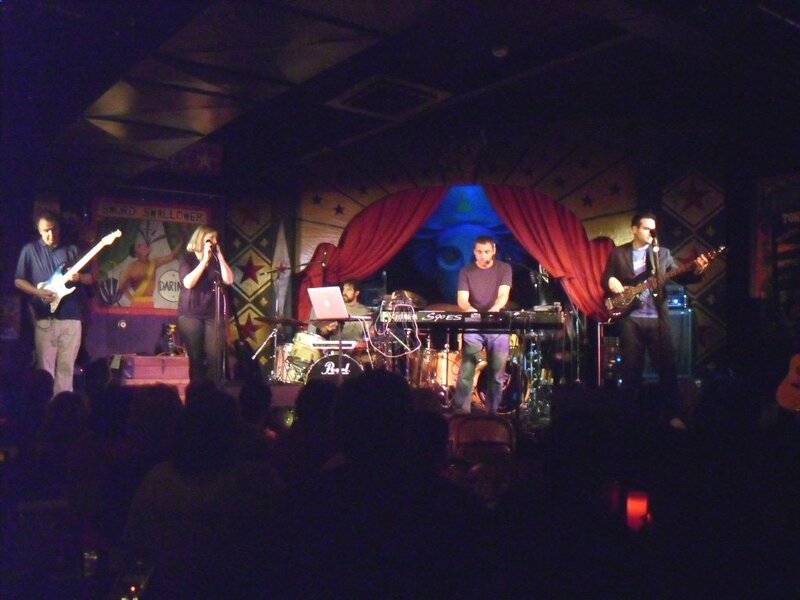 Tom Galgano manned the keyboards with energy and aplomb, his voice tackling the band’s melodic yet complex compositions effectively, assisted by Anmarie Byrnes’ pure, soaring tones. Though IZZ’s music is clearly influenced by the golden age of prog, it has enough personality to stand on its own. Extremely professional in their approach, yet warm and engaging, IZZ are one of those bands whose material – as good as it is in recorded form – takes on a completely new dimension when performed live, its impressive balance of melody, intricacy and electricity fully unfolding on the stage. After a refreshing night’s sleep, on Sunday morning we were back at Roxy and Dukes for another day of great music and friendship. Though the Sunday opening act was the only unknown quantity to the vast majority of the audience, Tammy Scheffer’s Morning Bound, an experimental trio of voice, bass and drums led by extremely talented Israeli-born singer Tammy Scheffer, proved to be the real surprise of the festival. Drafted in a few months ago to replace Oblivion Sun, they provided that genuine boundary-breaking element that progressive rock seems all too often to have left by the wayside. When the slight, curly-haired Scheffer stepped on stage and started to sing, my jaw dropped to the floor and stayed there for the whole duration of the band’s set. Her voice soared effortlessly, pitch-perfect and smooth as honey, bending the music to its will and twining with the intricate patterns laid out by bassist Russ Flynn and drummer Ronen Itzik. Tape loops were used sparingly but effectively to add further layers of interest to her performance, but she would have caused a stir even if she had sung without any accompaniment at all. With her graceful posture and charmingly measured gestures punctuating her astonishing vocal exertions, Tammy offered a performance that while devoid of any references to classic prog, was as progressive as they come. One of the undisputed highlights of an hour of musical excellence was her deconstruction of Suzanne Vega’s wistful “Marlene on the Wall”. Tammy’s flawless set proved once again that it is not necessary to rely on overly complex arrangements and large instrumentation to produce authentically forward-looking music, and celebrated the power and beauty of the human voice. The contrast between the first and the second act on the bill could not have been greater, as Morning Bound’s jazzy elegance left the stage to Thank You Scientist – another local band that we had first seen in action barely over one month ago at ProgDay. 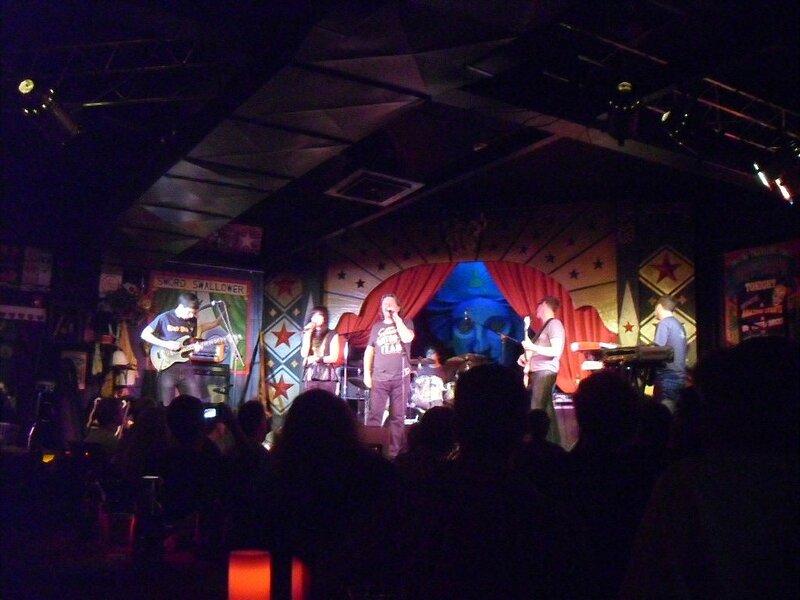 Although somewhat constrained by the size of the stage, the explosive seven-piece led by charismatic singer Sal Marrano delivered an energy-packed, highly entertaining set with hardly a moment of respite. Odin Alvarez’s relentless drumming, aided and abetted by bassist Greg Colacino, pummeled the audience into submission, while Russell Lynch’s distinctively-shaped violin added a melodic touch to the band’s hard-driving sound. The irresistible horn duo of Andrew Digrius and Ellis Jasenovich blared their way through the setlist, providing swing and entertainment value, while guitarist Tom Monda anchored the band’s wildly eclectic sound to the rock aesthetics. Marrano, sporting a jaunty beret, almost jumped off the stage on several occasions, his engaging stage presence owing more to punk than prog, and his high, expressive voice never flagging in spite of the demanding nature of his vocal parts. The Beatles’ anthemic “I Am the Walrus”, enthusiastically cheered by the audience, wrapped up their hyper-energetic set. As I noted in my ProgDay review, these guys have serious potential to win over the considerably broader audience of indie/alternative rock – those who do not care for the “prog” tag even if many of their favourite bands have clear progressive features (The Mars Volta, Tool and The Decemberists all being a case in point). For all the abundance of awesome modern talent on display during the weekend, it cannot be denied that most of the attendees ( prog fans being what they are) were looking forward to one act in particular – Chicago hotshots District 97 with Seventies legend John Wetton as a special guest, performing some of King Crimson’s most popular compositions. The band had played in our neck of the woods a few days before the festival, and garnered very positive feedback, so I was open to be surprised – even if the events of last year’s NEARfest had somewhat soured my attitude towards Wetton. It was my third time seeing District 97, and last year at the Orion I had been positively impressed by their new material and their improved songwriting skills. Unfortunately, the band’s own music was dealt with rather hurriedly to leave room for Wetton’s appearance – which happened in very understated fashion, with the singer stepping on stage during “The Perfect Young Man”. To be fair, his voice was in amazing shape, and his interpretation of the King Crimson classics was in many ways even better than the original versions (I am especially thinking of “Book of Saturdays” and “The Night Watch”). However, he looked quite uncomfortable on stage, his hands obviously itching to play his bass and being instead forced to gesture in a way he was obviously not used to. In spite of the unexpected surprise of “Great Deceiver”, things started going seriously downhill when the marvelous “Starless” (one of the true manifestos of progressive rock in my view) was cut short at the end of the vocal section to morph into “Easy Money” – a medley that did neither of those iconic songs any justice. I would also have gladly done without Leslie Hunt’s duets with Wetton, which did not add anything to the songs, and her constant posturing was ultimately annoying. In stark contrast, the other band members were serious to the point of grimness, and guitarist Jim Tashjian’s shreddy flourishes during some of the Crimson material sounded quite jarring. On the whole, the performance – while spotlighting the band’s undeniable technical proficiency – left a bad taste in my mouth. Those King Crimson songs are among my favourite pieces of music of all time, but their rendition by District 97 lacked the fine balance between sublime melody and jagged edges that made the originals so unique. Unfortunately, when the time came for headliners Beardfish to hit the stage, tiredness had already crept upon us, and the very crowded room – with scarcely enough space to breathe – did not look very inviting. While the Swedish band (the only international outfit on the lineup) have long been a firm favourite of the US prog community, I have always been rather impervious to their charms, and my only experience of seeing them live at NEARfest 2009 left me a bit underwhelmed. However, the audience seemed to love them, and the feedback I heard on the following day was overwhelmingly positive. As they have often visited the US in the past few years, we can expect to see them again relatively soon, and the next time I will make a point not to miss them. All in all, in spite of Friday’s troublesome drive, it was a perfect weekend. The lovely weather, the outstanding hotel accommodation arranged by the organizers, the welcoming venue, the availability of great food and drink (including the delicious home-baked cupcakes kindly offered by Anita Redondo Wilson), the great company and, last but not least, the top-notch musical programme all contributed to make the first Homecoming Weekend an unforgettable experience. My heartfelt thanks go to the “staph” for the seamless organization, and for all their hard work on behalf of the cause of progressive rock. Small is beautiful indeed, and we will definitely be looking forward to Homecoming Weekend # 2 in 2014. In spite of the brutal heat and humidity that marred last year’s edition, ProgDay had got us so well and truly hooked that we had started counting the days a good three months before this year’s event. The morning of Friday, August 29 saw us head south to North Carolina for the fourth time in as many years to attend the festival’s 19th consecutive edition – a true feat considering the fickle and finicky nature of the US prog audience. Over the years, ProgDay has built a loyal fanbase that, while never reaching the size of the audiences that have attended other prog festivals, has never failed to deliver quality-wise, and constantly attracted new attendees. Indeed, ProgDay XIX brought quite a few new faces to the green, tree-ringed sward of Storybook Farm, and a new batch of people won over by an event that, while unpretentious almost by definition, has become the ideal showcase for all kinds of challenging music. After an uneventful car ride from our Northern Virginia home, we reached the hotel in time for lunch, followed by some well-needed rest. Then it was time for us to reconnect with the many friends we have made through our mutual love of music. This year was made even more special by the presence of some people we had not yet managed to meet in person, though we already considered them good friends. As a complement to the main event, the Labor Day weekend also offered two “pre-show” gigs at Chapel Hill’s Local 506, all involving ProgDay alumni: Half Past Four, Dreadnaught and 3RDegree on Friday, Mörglbl on Sunday. Unfortunately, Canadian quintet Half Past Four had were stopped at the border and had to be replaced by outstanding Chapman Stick specialist Rob Martino. Since the Friday night show promised to go on until late, and we wanted to be in good shape for the following day, we decided to have dinner and then get a good night’s sleep. While not as unrelentingly hot and humid as last year, the weekend weather was still typical of North Carolina at the tail end of summer, with high levels of humidity throughout the day. When we got to the Farm on Saturday morning, the grass was drenched with dew, and some early attendees were pitching their tents and canopies on the field. A cool early morning breeze tempered the intense humidity and brought the relief of some occasional clouds, but the strength of the sun already promised to make things somewhat uncomfortable later in the day. We hung out with various friends, browsed the CD stands, then sat down and waited for the first band to come on the stage. As some rescheduling had been necessary on the part of the organizers, the festival was inaugurated by the band that had been announced last, a mere couple of weeks ago. Though Mavara (meaning “beyond everything you think”) hail originally from Iran (their only non-Iranian member being drummer Jim Welch), they have been living in the US for some time – for reasons that are not hard to fathom for anyone who knows the situation of that history-laden part of the world. Led by keyboardist Farhood Ghadiri, they enjoyed widespread success in their home country before circumstances forced them to move to the US, where they currently reside in the New England region. Having heard a few samples on the ProgDay website, I knew their music was probably not going to be my cup of tea; I am experienced enough to know that the stage can transform any kind of music into something different. Though obviously a bit nervous when they first took to the stage, they gradually warmed up and became more communicative, though a certain stiffness remained throughout their set. With two keyboardists (Ghadiri and a young woman, petite blonde Anis Oveisi), their sound was heavily skewed towards 80’s Rush (especially circa Power Windows), Porcupine Tree and Pink Floyd (the latter especially in the lead guitar parts), as well as a touch of early Dream Theater. Lead vocalist Ashkan Hamedi belted out the songs out with impressive power and confidence coupled to a strong sense of melody that suited the music well. Though Mavara are by far one of the most “mainstream” bands I have seen on the PD stage, their music – while somewhat generic – has the potential to appeal to a lot of people, and they seemed to be well received by the crowd. Moreover, they certainly deserve a shot in the limelight after all they have been through – especially being away from their native country, and living in a place that is not always welcoming to outsiders (a situation I know all too well). The contrast between the first and the second band on the Saturday bill could not have been greater, as around lunchtime French Canadian Avant-Prog veterans Miriodor proceeded to take no prisoners as soon as they got on stage. One of the most eagerly anticipated acts on the lineup – particularly by those who (like us) had witnessed their career-defining show at the DC French Embassy in 2010, the band were now down to a quartet, with founding members Remi Leclerc and Pascal Globensky and longtime guitarist Bernard Falaise very recently joined by bassist Nicolas Lessard. The increasing humidity notwithstanding, the scholarly-looking quartet of soft-spoken gentlemen delivered a blinder of a set, often sweepingly atmospheric and laced with eerie electronic effects, but consistently full of outstanding beauty. Though all the instruments sounded pristine, I found Remi Leclerc’s drumming especially riveting, setting an effortlessly flowing pace and lending the music a natural rhythm that belied its complexity. Falaise’s guitar displayed a finely honed edge, while Globensky’s keyboards contributed an aura of mystery. 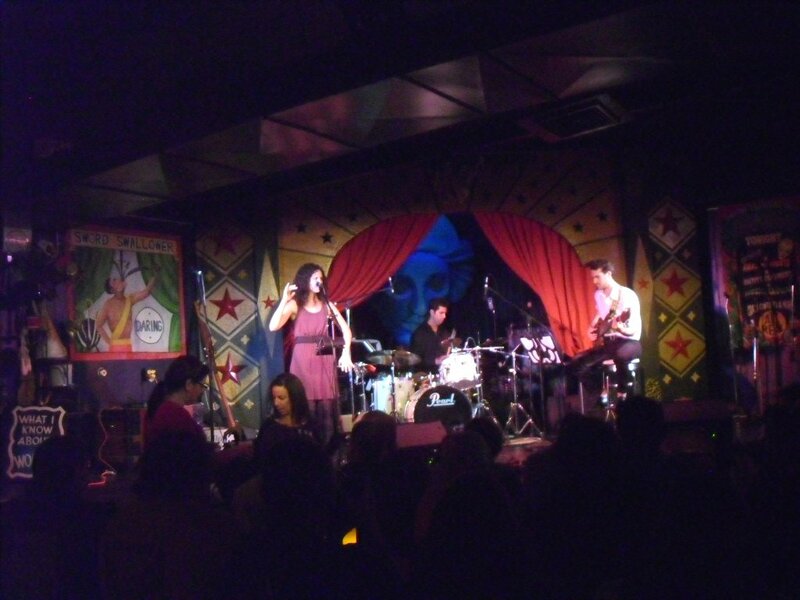 Besides some tracks from their marvelous 2009 album Avanti!, Miriodor regaled the audience with some new material, taken from their soon-to-be-officially-released album Cobra Fakir. Like everything else, the new tracks – though somewhat darker , with a slight Gothic undertone – possess the kind of effortless grace and calm intensity that has made Miriodor a byword for stellar quality on the progressive rock scene – balancing quiet and loud moments with seamless perfection, and maintaining a keen sense of melody even when treading on more experimental territory. The band’s professional yet unassuming attitude was also reflected in their gentle sense of humour. With such a tough act to follow, the organizers proved once again their brilliance when they scheduled Los Angeles-based multinational quintet Corima for the third slot of the day. Even if I was already familiar with their second album, Quetzalcoatl (released by French label Soleil Zeuhl), I was not prepared for such a relentless sonic assault. A blast of sound during the soundcheck provided a taste of things to come, as the young, black-clad band members proceeded to tear up the stage during their performance. As my husband put it, you got exhausted just watching them bounce up and down with an irrepressible energy starkly at odds with the usually staid mien of many mainstream prog bands. Fronted by the diminutive dynamo Andrea Itzpapalotl on vocals and violin, Corima are clearly influenced by Magma, and might also remind the listener of a more melodic version of Koenjihyakkei (incidentally, the bassist and saxophonist are of Japanese descent), but infused with the manic energy of West Coast punk and the aggression of metal. Occasional moments of respite – such as a serene, classically-influenced piano solo – dotted this 70-minute adrenalin rush, characterized by a form of deliberate repetitiveness that built up a hypnotic crescendo of intensity, driven by drummer Sergio Sanchez-Revelo’s insane polyrhythms and Patrick Shiroishi’s blaring sax. Needless to say, they did not suffer one bit from having to follow Miriodor’s immaculate set, because their music was so different. Even people who generally do not care for Zeuhl or anything too cutting-edge were won over by Corima’s show – though I could very well visualize people running for the exits in an indoor setting. After such a one-two punch, Saturday headliners and big East Coast favourites Oblivion Sun provided a definite change of pace. The quartet, founded by former Happy The Man members Frank Wyatt and Stanley Whitaker in the early 2000’s, had already appeared at ProgDay in 2007, and I had witnessed their performance at the 2009 edition of NEARfest. Frank Wyatt’s wrist injury had forced them to cancel a few live appearances in the past few months, but the keyboardist/reedist was in fine form for this special occasion. Just like I had in 2009, I found their music very melodic and pleasing to the ear, as well as impeccably executed, though as a whole hard to truly connect to. The four members of the band – Whitaker, Wyatt, drummer Bill Brasso and new bassist David Hughes – handled their instruments with seasoned proficiency, and their music flowed smoothly – perhaps even too much so. Some of their material had a folksy ring, while some heavier undertones occasionally cropped up. The warm rapport the band has built over the years with its loyal following showed in the jokes about the notorious “Cruise the Edge” floating prog festival, as well as in Wyatt’s moving dedication of a song to his wife for her birthday. Unfortunately, while I liked the instrumentals at the beginning of their set, when vocals made their appearance I started losing interest, and halfway through their set the 8-hour exposure to heat and humidity had finally got to both of us, so we decided to head back to the hotel for some rest before dinnertime. After a refreshing night’s sleep and leisurely breakfast, we headed back to the field for another day of music and good company. Because of the cool breeze blowing from the trees, the heat and humidity felt less oppressive than they had on the previous day, and I was able to enjoy what promised to be a consistently great lineup. However, we were yet unaware of being in for some weather-related excitement later during the day. 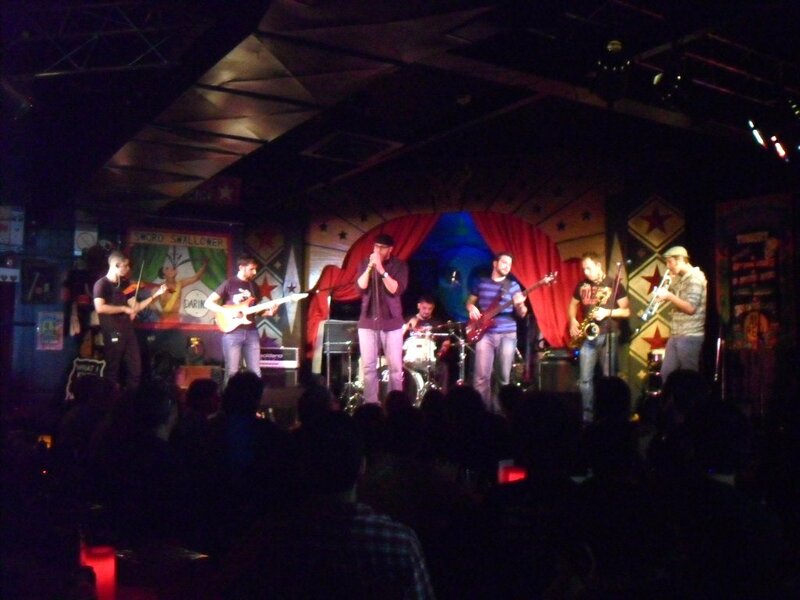 At 10.30 a.m., right on schedule, youthful South Jersey six-piece Out of the Beardspace took to the stage. A bit of an unknown quantity for the mainstream prog audience, the band have already earned their stripes through a brisk concert activity in their home region, and have recently released their third, self-titled CD. Earlier this year, in the month of May, they even hosted their own festival (named Beardfest), which featured ProgDay alumni The Tea Club and Consider The Source, as well as the band that would follow them on the Storybook Farm stage, Thank You Scientist. With their emphasis on environmental awareness and community enrichment, their very informal, laid-back appearance (some band members were playing barefoot) and sprawling, eclectic approach to music, they bridged the gap between jam bands such as Umphrey’s McGee and progressive rock proper. Guitar and keyboards were well in evidence, supported by a powerful rhythm section, and exuding a vintage psychedelic vibe with a keen edge, and some intriguing funky and jazzy elements. While bassist Kevin Savo’s vocals – best described as a male version of Björk – might be called an acquired taste, they also blended very effectively with the music. 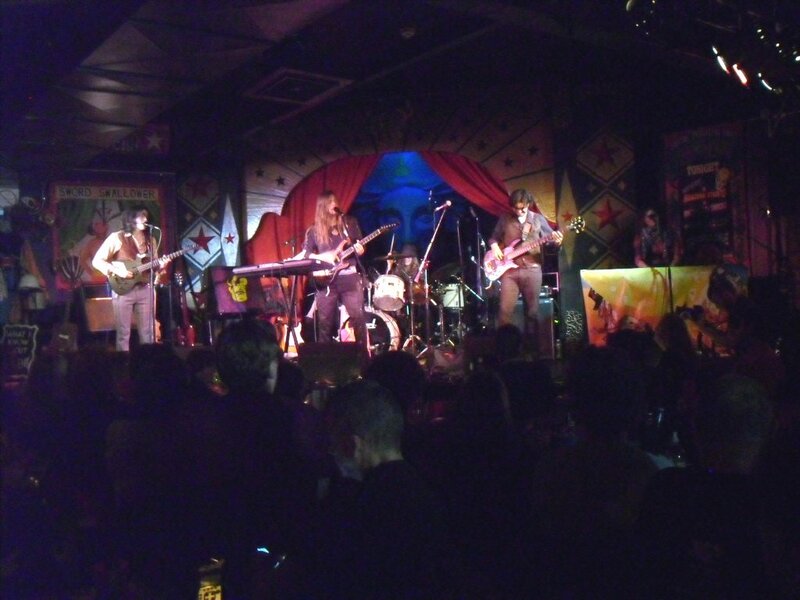 Though not as manic as Corima, the energy and enthusiasm of each member was hard to miss, and their stage presence, with its modern hippy vibe, endeared them to the audience as much as their genre-bending sound. Though I felt their instrumental pieces were more interesting than the ones with vocals, they are a band I would definitely not mind seeing again, as they put up a very entertaining show and obviously enjoy themselves immensely on stage. Thank You Scientist had already wowed audiences in the North-East Corridor with their energetic performance of the past month or so with fellow New Jerseyans The Tea Club, and had already created a lot of expectations in the attendees thanks to the strength their debut full-length album, Maps of Non-Existent Places (which boasts of some of the finest artwork I have seen in the past few years). With a seven-piece configuration – including saxophone, trumpet and violin as well as the traditional rock instruments – the young, hyperactive band crowded the stage, their boundless supply of energy matching that already displayed by Corima and Out of the Beardspace. Fronted by the charismatic Sal Marrano, sporting mirrored shades and a jaunty beach hat, Thank You Scientist are unashamedly modern in their approach to progressive rock, coming across as a more melodic, less rambling version of The Mars Volta – or, if you prefer, a much heavier, beefed-up Steely Dan. Marrano’s high-pitched but well-modulated voice, in particular, often sounded very much like Cedric Bixler-Zavala’s, albeit not as potentially abrasive. Propelled by irresistibly funky. Latin-infused rhythms (courtesy of unstoppable drummer Odin Alvarez and bassist Greg Colacino) coupled with punk-inspired intensity, a bit of a metal edge and jazzy horns, the band’s sound is complex but never contrived, and genuinely exhilarating. With the right promotion, they could very well break into the mainstream in the same way as The Mars Volta did in the early 2000’s, appealing to the younger generations as well as to more open-minded old-timers. Obviously, there were people in the audience who pompously declared that Thank You Scientist were “not a prog band”, but those naysayers were more than balanced out by those who thoroughly enjoyed the band’s set – wrapped up by an irresistible cover of The Beatles’ “I Am the Walrus”, which was a big hit with everyone. In the hottest hour of the day, my personal most-awaited band of the weekend – unlikely Texans Herd of Instinct – took to the stage, introduced by ominous recorded voices. The band members, with old friend and collaborator Mike McGary replacing Djam Karet’s Gayle Ellett on keyboards, were perceivably tense (probably scared by some of the horror stories heard about the prog audience), and that impacted their stage presence to the point that they occasionally came across as standoffish. Drummer and official spokesperson Jason Spradlin, a striking figure with his long, flowing dark hair, had chosen to use his own electronic drum kit rather than an acoustic one – a choice that, while puzzling for part of the audience, lent an eerily mechanical dimension to the music which complemented it unexpectedly well. As a supporter of the band from the time I heard their debut album, I wanted them to make a good impression, and the quantity of CDs sold at their merch table certainly bore witness to the fact that the majority of the audience appreciated their set, even if they were somewhat thrown off by the almost complete lack of stage banter and the abrupt ending of the songs (as well as the oddly muffled quality of the sound). Their music, however – though better suited to the twilight hour than the bright light of an early September afternoon – spoke for itself. Mark Cook’s Warr guitar’s eerie wail intersected and meshed with Mike Davison’s Fender Stratocaster and McGary’s discreet keyboards, driven by the engine of Spradlin’s drumming. Powerful and mesmerizing – and described by a friend as a cross between King Crimson and Tangerine Dream – Herd of Instinct’s sound is unique, its cinematic quality emphasized in their rendition of the theme from John Carpenter’s Halloween (a couple of months early on the actual date), as well as in their cover of Radiohead’s “National Anthem”. They also performed some material from Spradlin and Cook’s previous band, 99 Names of God. As a whole, I found that the live dimension enhanced their music immensely, and appreciated the subtle variations they brought to the material from their two studio albums. However, in spite of their years of experience of playing live on their home turf, they need to work on their stagecraft in order to develop their full potential and allow their music to come truly alive. Headliners simakDialog’s long-overdue set was the weekend’s most highly-awaited performance – as the Indonesian outfit’s plans to play in the US were foiled twice in as many years. Their set started half an hour early, in a very informal way – perfectly suited to their laid-back, yet extremely proficient music – and the plan was to let them play for about two hours, providing a soundtrack for the late hours of the afternoon, when the temperature goes down together with the sun and people kick back to enjoy the breeze. Unfortunately, said breeze quickly turned into a brisk wind, and the massed dark clouds brought a downpour that had people scrambling for cover in a hurry. The band – used to this kind of weather in their tropical homeland – were at first unfazed, and continued to play in their unhurried, supremely elegant East-meets-West take on classic jazz-rock – characterized by the use of twin Sundanese kendang drums instead of a traditional drum kit, blending perfectly with Riza Arshad’s fluid electric piano and Tohpati’s understatedly brilliant guitar. However, nature had different plans, and a second spate of wind and rain put an abrupt end to the show, which had lasted about an hour when the band and stage crew finally decided to call it quits. Thankfully, this time simakDialog have a full set of East Coast dates planned, and many of the attendees will be able to catch them in an indoor setting in the days following the festival. Finally, the weather allowed the attendees to pack up their gear, and everyone headed back to the hotel for dinner and the subsequent “non-pool” (for the second year in a row) party, held in one of the hotel’s meeting rooms, with plenty of drinking and merriment on offer before bedtime. Then, on the following day, it was time to say goodbye to our friends – not without some sadness – and head north and back to real life after three days in paradise. Like last year, 2013 seems to have brought an almost record attendance to ProgDay, which bodes very well for the festival’s 20th anniversary (whose planning is already under way). 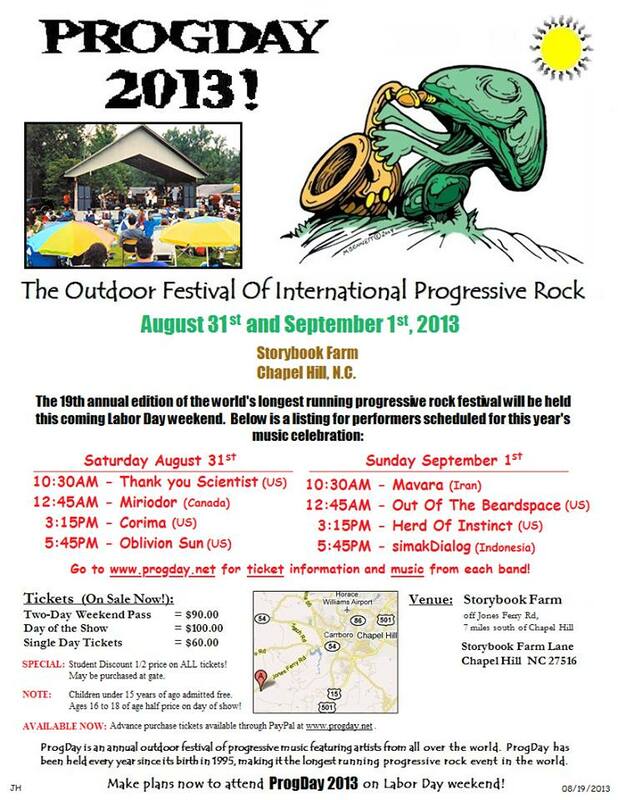 Interestingly, with the exception of Mavara and Oblivion Sun, none of the bands that performed at Storybook Farm on the past Labor Day weekend can be labeled as prog in a conventional sense – which, as I have already stated on previous occasions, proves the forward-thinking strategy of the organizers as regards the choice of performers. The presence of three young, up-and-coming US bands also brought some new blood to the field (as it also was the case in 2012), together with the hope that progressive music may soon start to gain a broader appeal and escape the confines of its aging niche audience. As usual, at the end of my review I would like to thank all of the people involved in the organization of the festival, especially all those who volunteered time, money and energy in order to ensure the success of the event. Of all the wonderful people we met over the weekend, a special thought goes to some very special people whose friendship means a lot to me, even if we cannot meet in person on a regular basis. Even if this year I have decided not to mention any names, you know who you are. Thank you for a wonderful time, and hope to see you again very soon! As every year for the past 19 years, ProgDay – the world’s longest-running progressive rock festival – will be taking place on Labor Day weekend in the beautiful setting of Storybook Farm in Chapel Hill (North Carolina). With a superb lineup of 8 bands, both international and homegrown, augmented by two exciting pre-festival shows scheduled for Friday and Saturday night at the 506 Club in Chapel Hill (featuring respectively Half Past Four, 3RDegree and Dreadnaught, and French power trio Mörglbl – all of them ProgDay alumni), the festival is going from strength to strength, and is already preparing for the fireworks of its 20th anniversary celebration in 2014. Though I have often commented on the sorry state of the progressive rock concert scene in the US (with particular reference to NEARfest’s untimely demise), 2013 has been a much more positive year than the previous two, and has brought unexpectedly good news. With the possible exception of ROSfest, which draws hundreds of attendees every year (even if it has never enjoyed NEARfest’s instant sell-outs), festivals held in 1000-seater theaters seem to have become a thing of the past, as proved by the failure of a couple of attempts to organize events on a similar scale. However, some people who are well aware of the importance of live performances to keep non-mainstream music alive have not been deterred by those failures, and have taken the plunge. Adopting the model that has allowed ProgDay to survive without interruption for 18 years by being able to count on a core of loyal supporters, they have scaled things down, choosing smaller, less pretentious venues, and giving preference to mostly homegrown acts instead of relying on “big names” to attract a larger number of attendees. Seaprog, which took place in Seattle on the last weekend of June 2013, proved that a smaller-scale event can be reasonably successful, even in a location not generally known as a “prog hub”. Less than one month ago, the year’s second “mini-festival” was announced by the group of volunteers and dedicated prog fans (affectionately nicknamed “staph”) behind the NJ Proghouse, a venture started by James Robinson in central New Jersey, back in 1999. 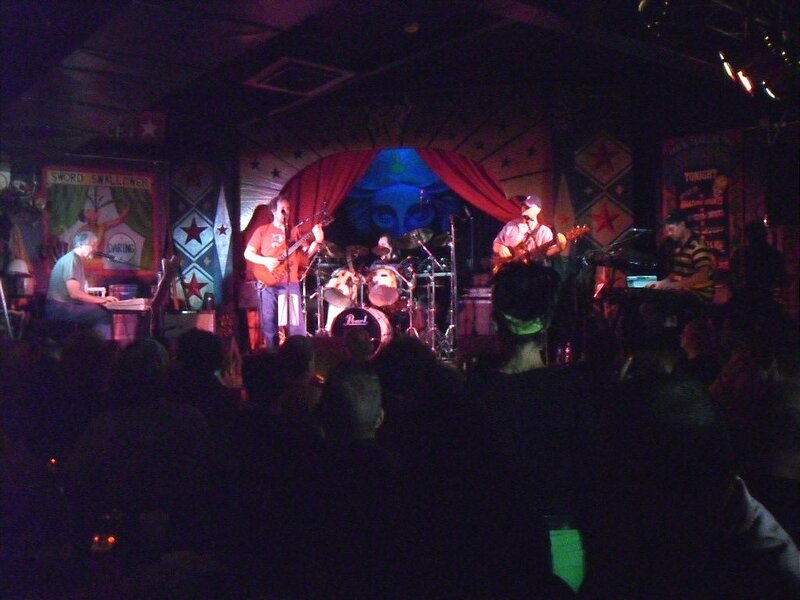 In its various incarnations, the organization has been hosting high-quality progressive rock shows in different venues for the past 15 years, building a dedicated following in that densely-populated region of the US East Coast, and offering concert opportunities to both established and up-and-coming bands. 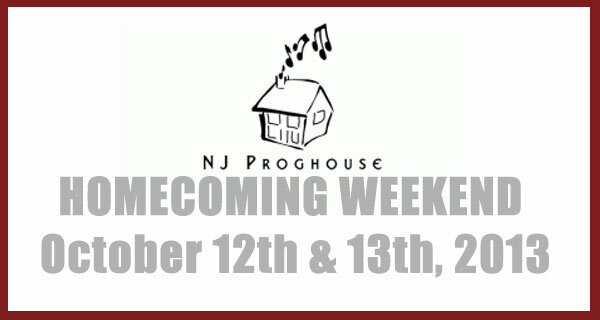 The two-day festival – named NJ Proghouse’s Homecoming Weekend – intends to celebrate the organization’s 15th anniversary with a top-notch selection of Proghouse alumni. 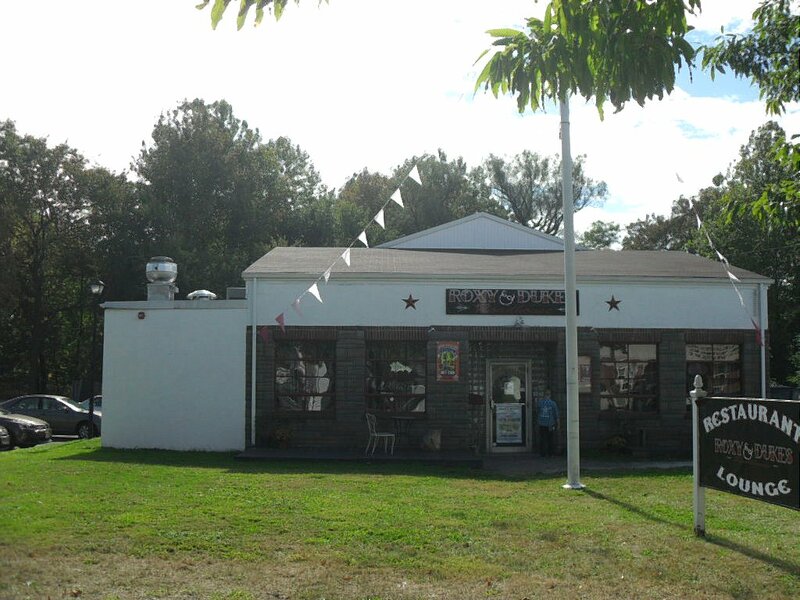 It will be hosted by Roxy and Duke’s Roadhouse in Dunellen (NJ), which has been the group’s venue of choice for the past year or so, on the weekend of October 12 and 13, 2013. Eight bands will take turns on the stage, four per day, starting at 12.30 p.m. Single-day tickets and weekend passes (as well as other relevant information) are available from the organization’s website in the link below. With the sole exception of Sunday headliners, Swedish outfit Beardfish (a firm favourite of the US prog audience), the bands invited to perform at the event are all based in the US, most of them hailing from the New York/New Jersey area. Vocalist/composer Tammy Scheffer (originally from Belgium, but currently residing in NYC) and her band Morning Bound have been drafted in to replace Oblivion Sun, who had to pull out because of scheduling conflicts. Together with young but already established bands such as The Tea Club, Thank You Scientist (who are also on the ProgDay lineup) and Chicago hotshots District 97, and Saturday headliners IZZ, the festival will also offer the return to the stage of two local glories: renowned jazz-rock band Frogg Café after a six-year hiatus, and Advent, who are putting the finishing touches to their long-awaited third album. While neither Seaprog nor the Homecoming Weekend may fill the gap left by NEARfest for those who expect a festival to be a showcase of “bucket list” bands and artists, it is heartening to see that some US prog fans are willing to follow the example set by the UK and continental Europe by going the “small is beautiful” route. Even if the music world has changed dramatically in the past couple of decades, no amount of albums recorded with the most sophisticated techniques will ever replace the experience of a live concert – neither for the fans nor for the artists.